Fabric grain refers to the direction of the warp and weft threads used in weaving the fabric. Straight grain is in the direction of the warp threads, which run parallel to the selvages, and cross grain runs in the direction of the weft threads, which run perpendicular to the selvage edges. Bias grain is at a 45 degree angle from the straight grain. I’ve got a video below showing examples of how fabric behaves differently depending on which grainline you cut your pieces on. You can also watch it on YouTube here. For more information about knit fabrics, see this post. 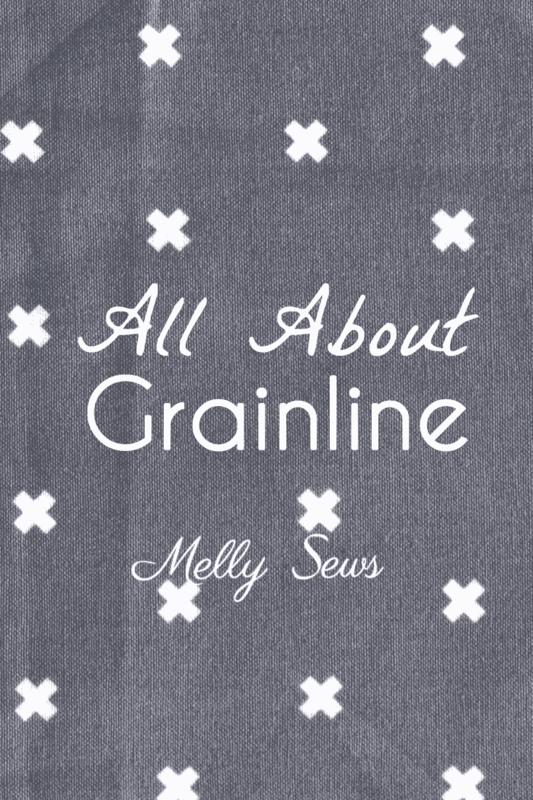 Grainline doesn’t work the same in knit fabrics because they are constructed differently. What if my pattern doesn’t have the grainline marked? Generally, in patterns for woven fabrics, you want the straight grain to run vertically down the body, so lay your pattern pieces that way. Can I cut on the cross grain? It depends. I often cut pieces on the cross grain to save fabric or because of the way I want a directional print to run. The differences are usually very subtle, so this works well. However, the more fitted a garment is (think formal dresses or jeans) the more important the grainline becomes. How do I find the grain? The easiest way is to look at the selvedges. If your fabric piece is missing selvage edges, you can test the stretch, remembering that fabric has more give on the cross grain. 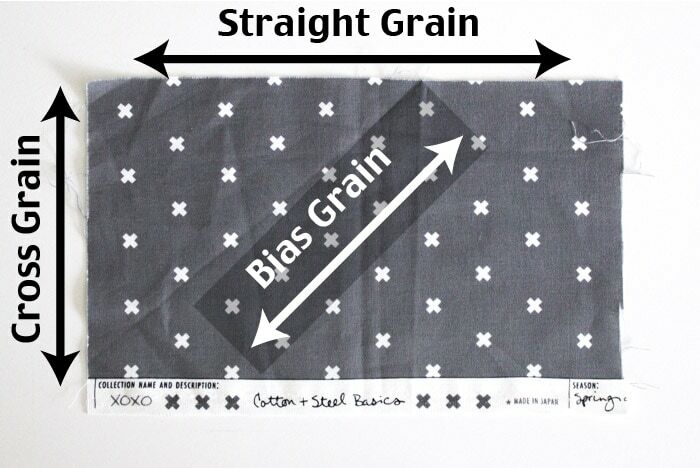 Once straight and cross grains are established, you can pull a thread along the straight grain as a reference for lining up your pattern pieces. Side note: I intentionally spelled selvedge two ways in this paragraph, as both are correct spellings, though selvage is the more commonly recognized one in the U.S.